The Samsung's new smartphone Samsung Galaxy S8 is now announced by the company. This is one of the brilliants smartphones as the current need of consumers. 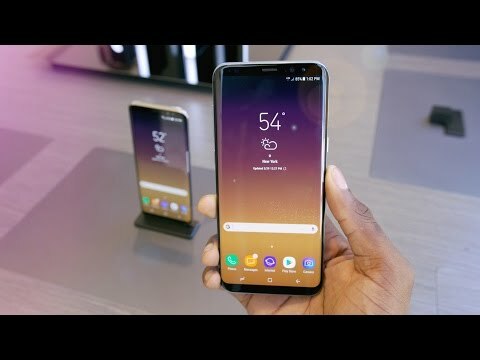 Samsung S8 has ultimate features and specification. So, if you have a budget around Rs. 50000, we recommend you to wait for this ultimate Samsung Galaxy S8. 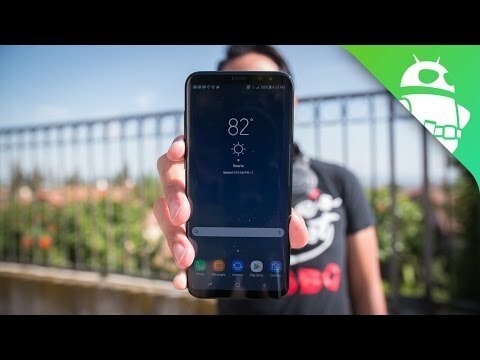 Samsung Galaxy S8 is one of the most beautiful smartphones till date. The phone has narrow bezels and curved edge display to make it an eye catching phone. The phone got a 5.6-inch display, still, it managed the 148.9 mm length and 68.1mm width. The design of the phone is beautiful but the company has not compromised with safety. It comes with the IP68 rating. So, the phone is water resistant and dust resistant. To protect the display, it has Gorilla Glass 5. The Samsung Galaxy S8 has 5.5-inch Super AMOLED display with 1440 x 2960 pixels resolution. It has the 3D touch for the home button. The display is always-on. The display of this smartphone is protected by Corning Gorilla Glass v5. The smartphone runs on latest Android v7.0 (Nougat) operating system. You also Bixby, Google Assistant, and many pre-installed alls. The phone is powered by octa-core Snapdragon 835 processor or octa core Exynos 8895 Octa - EMEA processor. India will be getting the Exynos variant. The phone also has 4GB RAM and 64GB storage. The internal storage is also expandable up to 256GB. 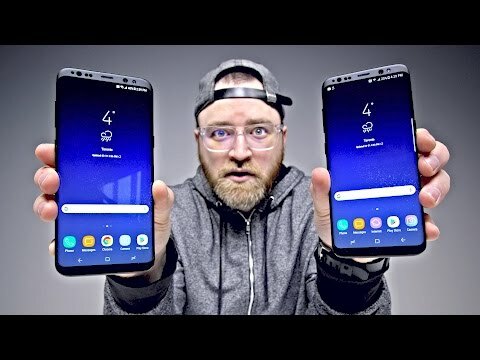 The camera of Samsung Galaxy S8 is similar to the camera we found in Galaxy S7. It has 12 megapixels rear camera with f/1.7 aperture, phase detection autofocus, OIS, and LED flash. It also has 8 megapixels front camera with f/1.7 aperture and dual video calls. Samsung Galaxy S8 offers Wi-Fi 802.11 a/b/g/n/AC, dual-band, Wi-Fi Direct, hotspot, Bluetooth 5.0 with A2DP, LE, aptX, GPS with A-GPS, GLONASS, BDS, GALILEO, NFC, and USB Type C.
Samsung Galaxy S8 also comes with the Iris scanner, fingerprint scanner, and heart rate sensor. The phone has 3000 mAh battery with support for fast charging. It also includes wireless charging option. Best price of Samsung Galaxy S8 mobile in India is Rs. 30990. We have tried to list Samsung Galaxy S8 price from all popular and trusted stores. 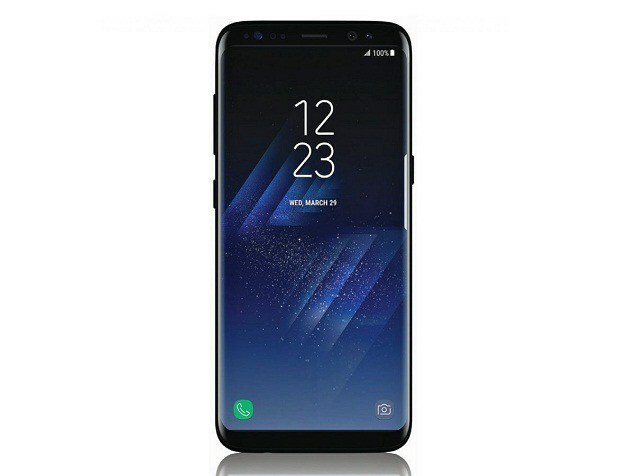 Check the Samsung Galaxy S8 price in various online store and pick the store with cheapest price of Samsung Galaxy S8. All these stores deliver this phone on many Indian cities including Delhi (NCR), Bangalore, Mumbai, Hyderabad, Chennai, Bhopal, Lucknow, Kolkata and Pune. Keep visiting this page to get updates on Samsung Galaxy S8 Price In India. Check out specifications, expert reviews, pics, videos, comparison and buy Samsung Galaxy S8 at its lowest price. In case you cannot affored brand new Samsung Galaxy S8 mobile, you can check the refurbished and unboxed deals for Samsung Galaxy S8. We list only trusted websites for refurbished products. Samsung Galaxy S8 specifications and features are given below. We collected this data from official website and other trusted resources. Our team always try to publish accurate data but human error is possible. If you find anything wrong, please notify us via contact page. Rear Camera Sensor Size 1/2.5"
Front Camera Sensor Size 1/3.6"